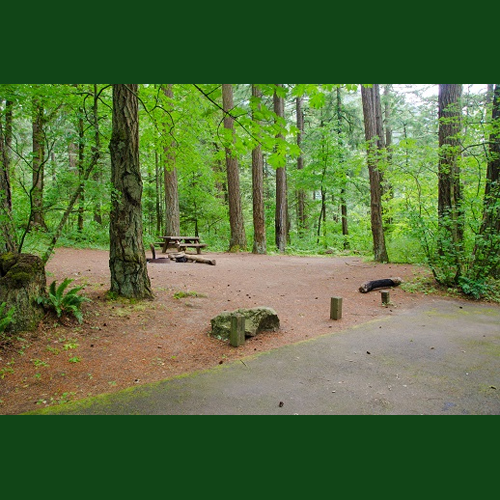 If you live in Troutdale, Fairview, Wood Village, Corbett or Cascade Locks and you need a get away without going far, Eagle Creek campgrounds are just the place for you. With many to choose from and so many activities surrounding them, you can feel like you a far away, without driving far. Eagle Creek campground is the first developed campground in the National Forest System, being established in 1915! It also features the first restroom with flush toilets constructed in a Forest Service campground, which is still in use. This campground is part of the Eagle Creek Recreation Area featuring the classic and popular Eagle Creek Trail and access to several other hiking and road biking trails. There are outstanding day hike opportunities with views and wildflowers as well as access to the Mt. Hood National Forest and Mark O. Hatfield Wilderness with extended overnight trips. Boating, river activities, interpretive centers, fish hatcheries, bird watching and picnicking are in this area. There are 17 campsites available, 14 of which are available for reservation atwww.recreation.gov and 3 of which are available on a first-come, first-served basis. Each site has a paved parking apron and most are fully accessible. A central restroom features flush toilets (no showers) and drinking water. Faucets for drinking water are scattered throughout the campground. A full-time host is on site. Campsites are situated between large trees atop a bluff above Eagle Creek and the Columbia River. There are no RV hookups and there is a 20 foot trailer limit. There are tight curves on the road in campground area. Interpretive talks are offered throughout the season. With access to some of the Gorge's best hiking opportunities near Eagle Creek and the Historic Columbia Gorge Trail, this campground makes a terrific base camp for a weekend of adventures. Hike on the Historic Eagle Creek Trail, constructed in 1916, which is still considered one of the most popular and scenic hikes in the Gorge. Several other trails are also in the area: Buck Point, Gorge #400, Ruckel Creek #405, Wauna Point #402, and Shady Glen #402A. Note: Many trails in the area are very steep. Enjoy a spectacular view of the Columbia River Gorge from Wauna Point or Buck Point. Learn more about Eagle Creek Campgrounds and plan your trip today!